Jul. 5, 2018 6:28 a.m. According to West Kelowna fire chief Jason Brolund, the investigation is going to take time to complete due to the nature of the house fire near Glencoe Road. Three patients were sent to the hospital with serious injuries last night. Firefighters were called into action, Wednesday night, to rescue residents trapped in a burning home. Flames from the house spread to the grass causing concern to neighbouring residences. Shortly after 9 p.m., crews were called to the Glencoe Road area. Area residents reported multiple explosions with flames and smoke coming from a single-family residence, according to the West Kelowna RCMP in a news release. On arrival, crews from the Westbank fire station found a fully involved structure fire and multiple occupants with serious injuries. Fire crews went on to fight the fire from the outside of the building, due to structural damage and the risk of further explosions. An excavator was requested to the scene to assist with the extinguishment of the fire. Seventeen firefighters and seven fire apparatus from the Westbank, Lakeview Heights, Glenrosa and Rose Valley fire stations responded to the second alarm fire. Additional off-duty personnel were also called back to protect the city while the fire was being fought. Fire investigators are on scene conducting a preliminary investigation, with a full investigation to take place Thursday along with the RCMP. Shortly before 11 p.m., crews were called to the Campbell Rd area in Casa Loma for reports of a grass fire. 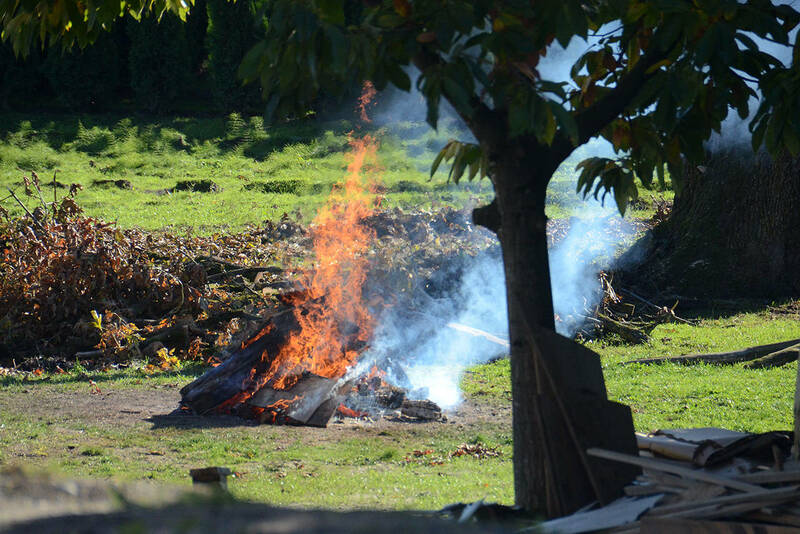 On arrival a 50 by 50 foot fire was discovered burning into a large pine tree in an orchard. The fire was quickly knocked down by 11 called in crews and four apparatus from Lakeview Heights, Westbank and Rose Valley fire stations. Three homes in the vicinity were protected and did not have to evacuate. There was no damage to homes and no injuries. The cause of the fire is under investigation and fire inspectors are attending the scene, the release said.